Some of the best fishing in the country lies at the mouth of the Columbia River. From the East Mooring Basin Boat Ramp to the North Jetty and beyond, Fish Hunter’s Guide Service directs you to not only a great catch but a great experience. Upon booking your trip with Fish Hunter’s in Astoria, you will receive all the information you need to make your next fishing trip smooth and hassle-free. 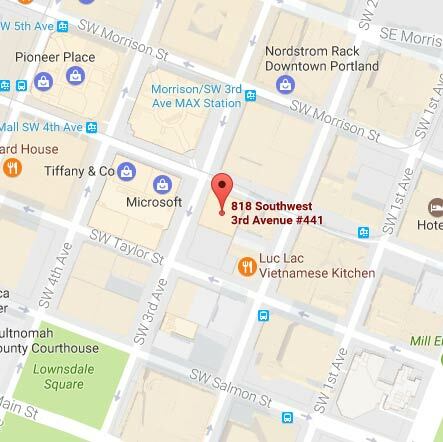 When you receive confirmation, you will also receive driving directions to the meeting location, tips on what to bring, and other useful information about fishing in Oregon. Whether you’re a novice or an avid fisherman, guide Travis Choquette will customize the trip based on your needs, expectations, and experience level. Once you book your trip, he starts planning. By monitoring weather, tides, fishing reports, and implementing good boating practices. 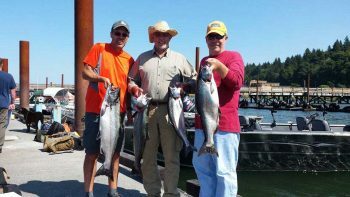 Your guide crafts an unforgettable experience based on his knowledge gleaned from a lifetime of fishing in the region between Astoria and Cascade Locks. The largest stock of Chinook and Coho in Washington and Oregon is contained in the Columbia River, and on average they weigh between twenty and forty pounds. Starting in early August, we target upriver bright Chinook and follow them all the way up to Longview and sometimes as far as Bonneville Dam for late season fishing. Located between the Columbia River and the popular Astoria Riverwalk, the East Mooring Basin Boat Ramp is a convenient landmark for anglers and casual visitors alike to explore this beautiful area. When you arrive, your guide will be waiting aboard a 23-foot sled boat, outfitted to accommodate small groups. Plan to spend most of the day on the water in areas where temperatures can change from hour to hour. Get an idea of what our previous fishermen and women have caught on our tours by browsing our photo gallery.